N Queen problem is a classic constraint satisfaction problem based on chess game. 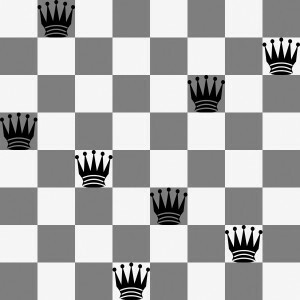 The idea is how to put N numbers of Queen in N x N chessboard without giving them any chance to kill each other in one turn. This post is a continuation from my previous post (click here). Here is another version of algorithm, written by my friend, Daniel Handoko. This post is published by his approval.